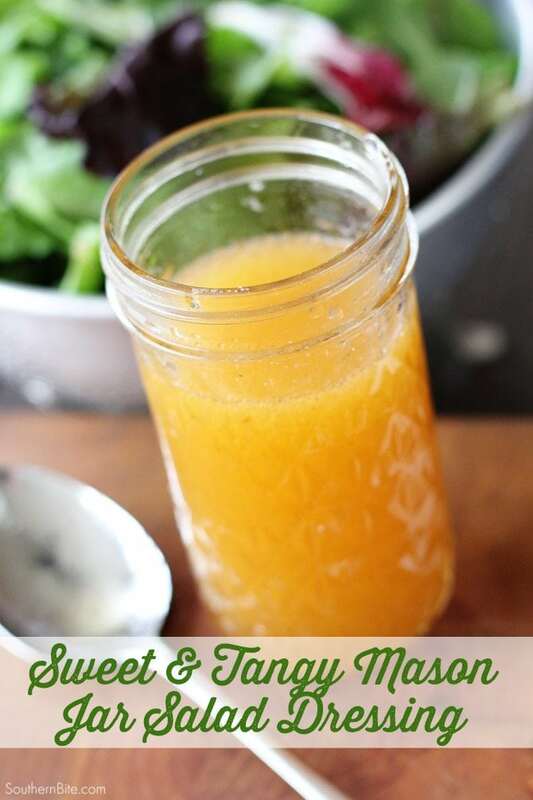 This Sweet & Tangy Mason Jar Salad Dressing is another one of those recipes. I’ve been making this for years. It’s one of our favorite dressings. A friend shared the recipe with me a few years back and with a few changes (no, I can’t leave well enough along) we’ve been using it ever since. I love it served on a salad with some tangy blue cheese and some crunchy Granny Smith apples. It’s just a great all-purpose dressing. It can certainly be made with olive oil rather than the vegetable oil, but we usually don’t use it all in one meal so there’s leftovers for the fridge and the olive oil sets up and then you’ve got to get it back to room temp before serving and my life just doesn’t always work in perfect fashion to allow me time to do that. (How about that run-on sentence?!?!) So, I usually just use vegetable oil. And frankly, I like the flavor of the dressing with the vegetable oil much more than olive oil. 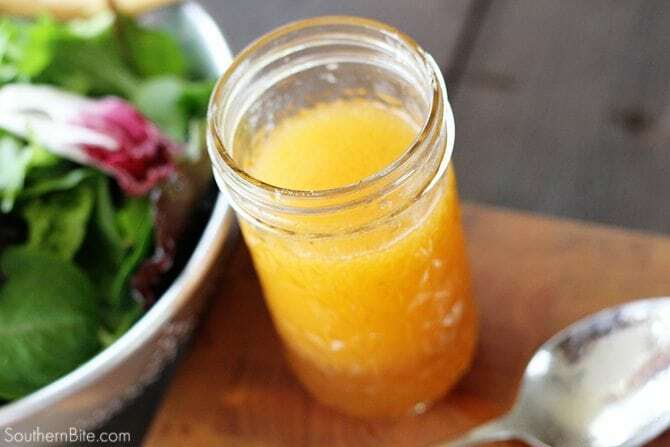 It’s just so easy, dump all the ingredients in a mason jar and shake. It keeps well and truly is one of our favs. Hope y’all enjoy it as much as we do! 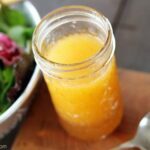 Combine the ingredients in a pint jar, screw on a tight-fitting lid, and shake to combine. Chill and serve over fresh salad greens. Keep refrigerated. Keeps for about 2 weeks.